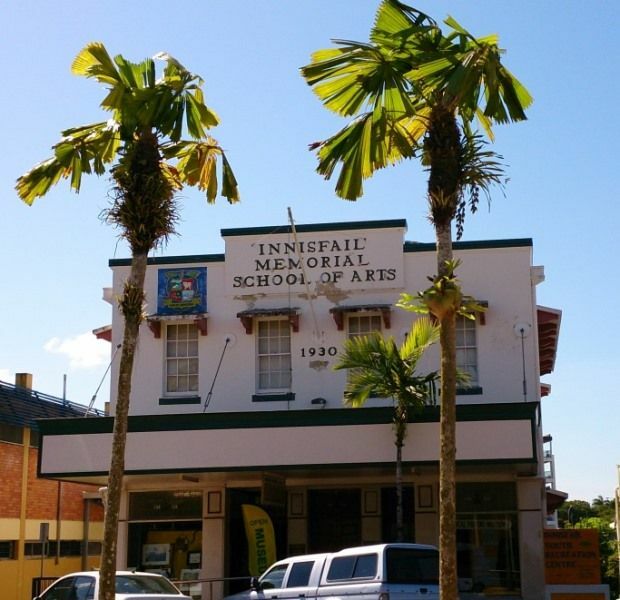 The Innisfail Memorial School of Arts was erected to commemorate those who served in World War One. The cost of the building was £8000 which was secured by a loan of £6500 and the balance made up by public subscription. Financial difficulties were experienced in paying the outstanding debt on the loan in 1939 and the building was in danger of foreclosing. A public meeting was held in November 1939 in an effort to preserve the memorial building which was leased to the R.S.S.I.L.A for a further twelve years. A pledge was made to try and raise money to liquidate the debt on the building. On the 2nd May 1940 at a special meeting of the Council, a deputation from the School of Arts asked for a sum of £130 to enable it to meet repayment instalment on the loan which was due at the end of June. Cairns Post, 15th November 1939, 6th May 1940.